Spring break is right around the corner. If you’re looking for all the vacation essentials — sun, sand, activities and more — consider Hilton Sandestin BeachGolf Resort & Spa your Florida beach destination of choice. Florida’s Gulf coast is one of the best spring break destinations out there. From the emerald green waters to the sugar-white sand, it’s the perfect place to get away, relax and celebrate the season. And the best part? There’s something for everyone. When the weather is (nearly) perfect all season long, you take advantage andexplore the great outdoors. At Hilton Sandestin Beach it’s easy to explore by land or by sea — and we’ve got plentyof great spring break ideas and activities. Spend your first day of vacation on the water stand up paddle boarding and right here at the resort. Or head to nearby Baytowne Marina for fishing charters, dolphin-watch cruises, parasailing and more. Switch things up on your next day in paradise by visiting Vortex Spring in Ponce De Leon for some scuba diving. There you’ll find the largest diving facility in the state and one of the best diving destinations in the country — equipment rental and lessons are all available on site. After some underwater exploration, check out the zip line, or use the rope swing to jump back into the crystal-clear waters. Before returning to the resort, stop by Topsail Hill Preserve State Park, and to take your picture next to the 25-foot sand dunes. 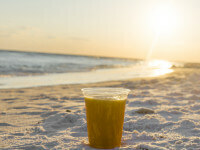 Then come back home and rest up for more adventure at a fantastic Florida beach destination. 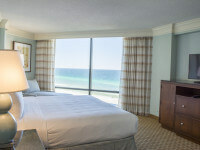 If your ideal spring break vacation begins and ends with a massage, look no further than Hilton Sandestin Beach. Start your day with some beachfront yoga on our Sunrise Deck overlooking the beautiful Gulf of Mexico. Let the ocean view and the sound of gentle waves relax your mind, body and soul. 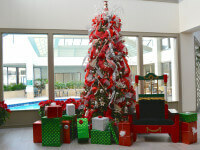 After class, enjoy a leisurely, late breakfast on your room’s private balcony or relax by the pool with a book. Then head to our award-winning Serenity by the sea Spa for an afternoon of pampering. Try our Day of Indulgence spa package, featuring a full-day of Serenity's signature spa services — including a 30-minute sugar body polish, an 80-minute Pure Fiji Island-scented massage, a 50-minute Serenity Facial, the Serenity Ocean Soak manicure and pedicure, shampoo, blowout and style. We’ll also include a light spa lunch to hold you over until dinner. Post-pampering, join us at Hadashi Sushi Bar for some sake and sashimi. Relax for the night with a bottle of wine, or take a walk along the beach for an unforgettable sunset view. For a true gourmet, the best spring break destination is one where you can taste the best local cuisine. And at Hilton Sandestin Beach, we have a variety of dining options to keep our foodie travelers—and their taste buds—busy all vacation long. Ease into spring break with a breakfast full of fresh-baked sweets made daily by our in-house pastry chef at Sandcastles Restaurant and in The Coffee Shop. For lunch or dinner, grab some of the best Gulf-to-table seafood the coast has to offer at Barefoot’s Beachside Bar & Grill, where you can indulge in oysters, peel-and-eat shrimp, snow crab clusters and more. Wash it down with a specialty cocktail on the restaurant’s outdoor seating area, with amazing views of the water. 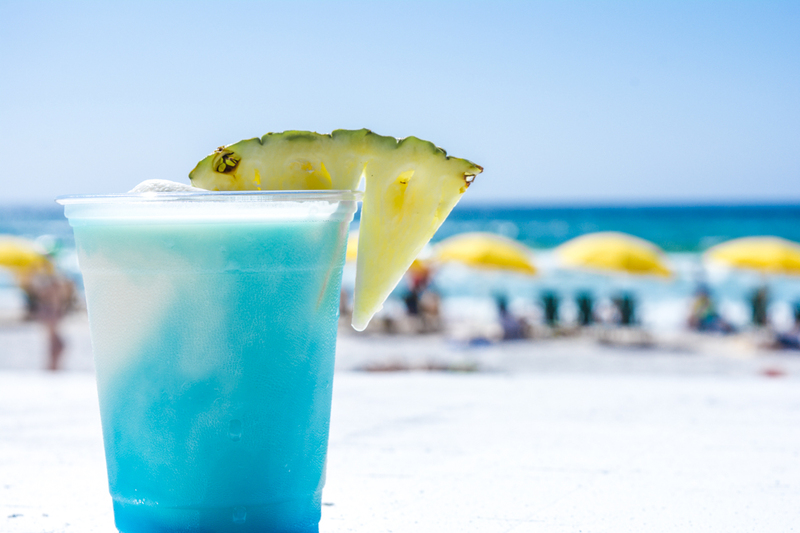 You don’t even have to leave your beach chair to indulge — order a cocktail via BarefootsOnline.com and we’ll bring it right to you. Once you’ve whet your appetite, be sure to visit Seagar’s Prime Steaks & Seafood, one of the finest dining establishments in the area and the only AAA Four-Diamond Steakhouse on the Emerald Coast. Still hungry? We’ve got sushi, seafood, poolside grab-and-go sandwiches and more — a perfect destination for the traveling foodie.